Are you determined to be more organized in the New Year? Then you need a 2016 Calendar! 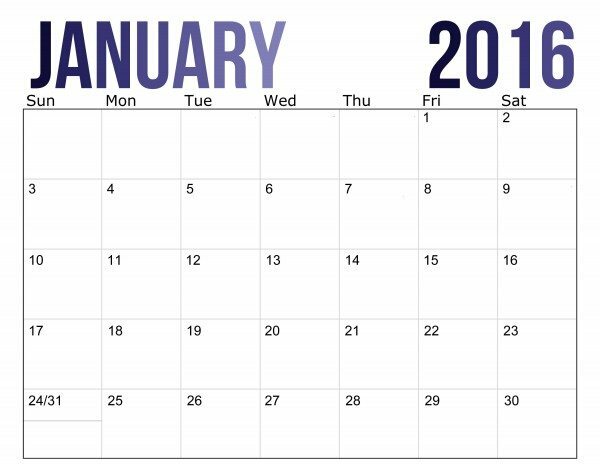 I’ll be honest, I was planning on getting this calendar made a LOT earlier but I just couldn’t decide on the design. And then Christmas came and you all know how that goes. Nothing gets done except Christmas stuff. But I’m determined to get 2016 off to a good start so I buckled down and created this calendar. I decided to go simple with an ombre-type design. I use Google calendars a lot. However, I have found that if something isn’t written down and right in front of my face (like on my fridge), it quickly gets forgotten and doesn’t get done. So for as much as I like technology, I still use hard copy calendars. This calendar is formatted to 8.5 x 11 landscape and comes with a cover sheet. 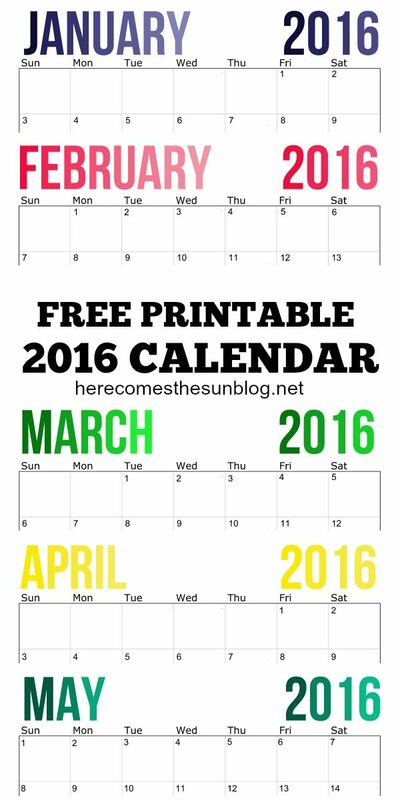 I’m offering the calendar for free because I’m just awesome like that and MY READERS ARE TOO. I thought that you could all use a nice little “thank you” present for being such awesome readers this year. You can download the calendar here. It is a zip file with a cover page included. As always, this printable is for your personal use only and should not be redistributed. I recommend printing on heavy white cardstock for best results. I hope this gets you off to a good start on 2016. Thank you for being awesome readers this year! If you thought this year on the blog was great, you definitely will want to follow along next year too!